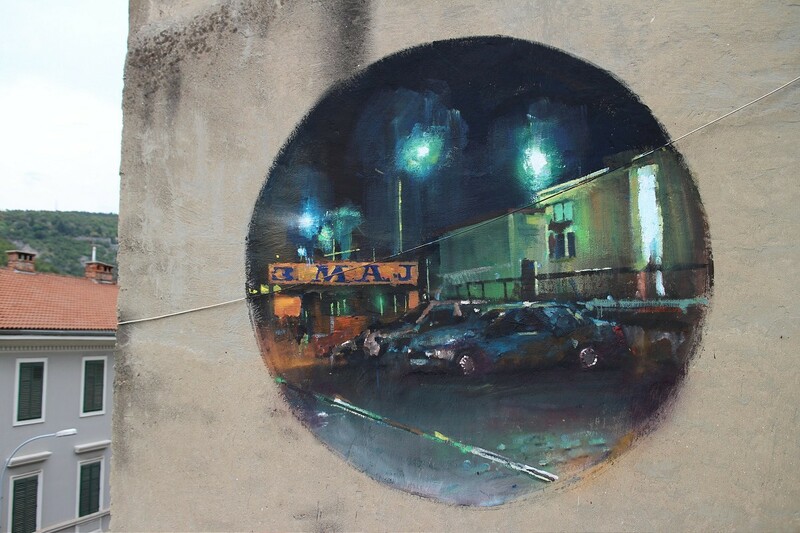 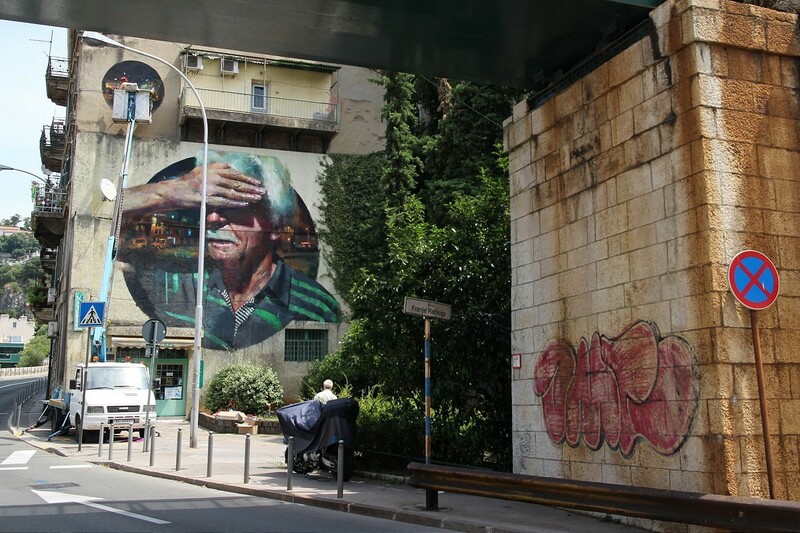 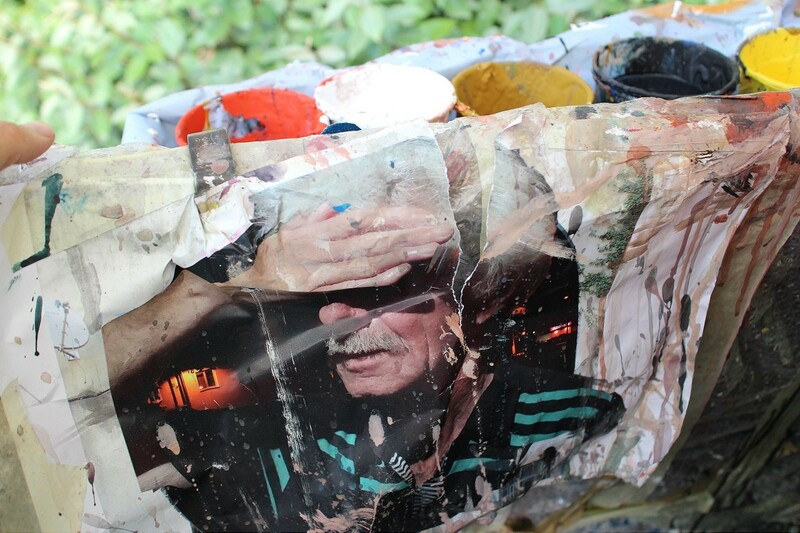 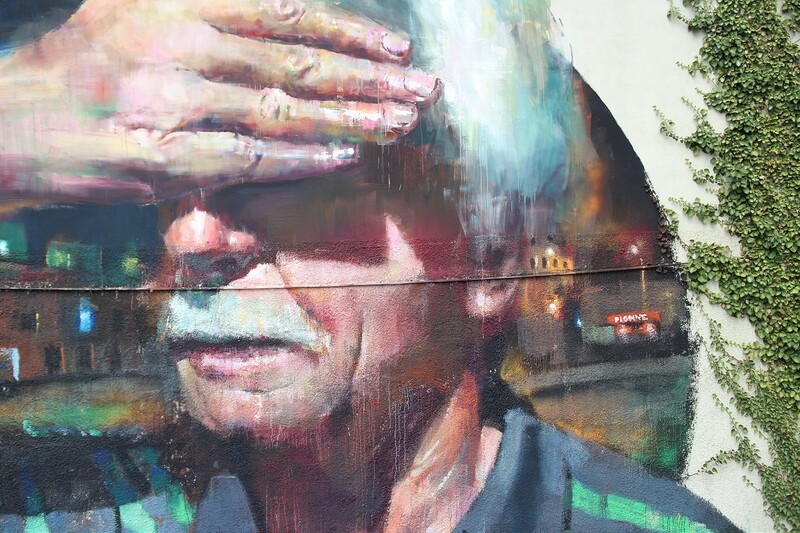 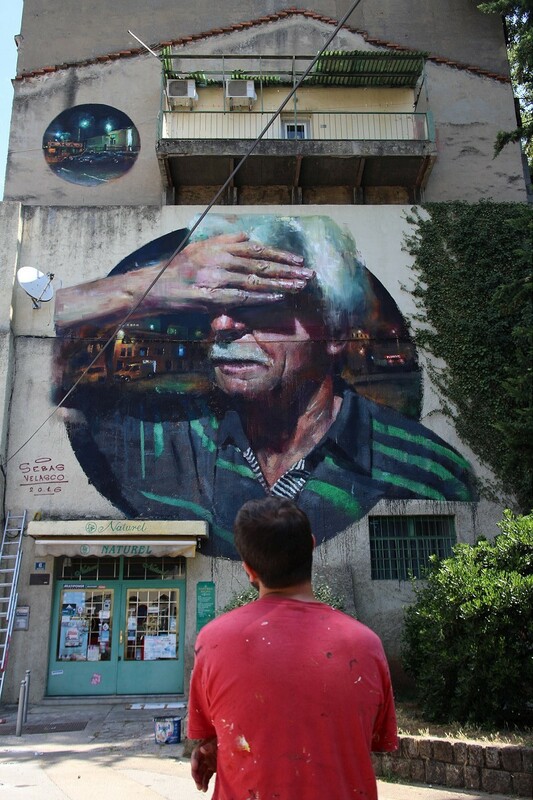 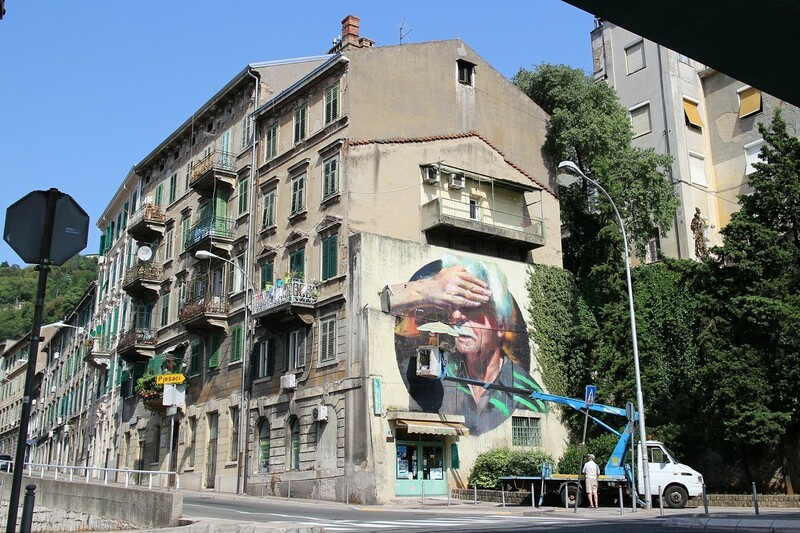 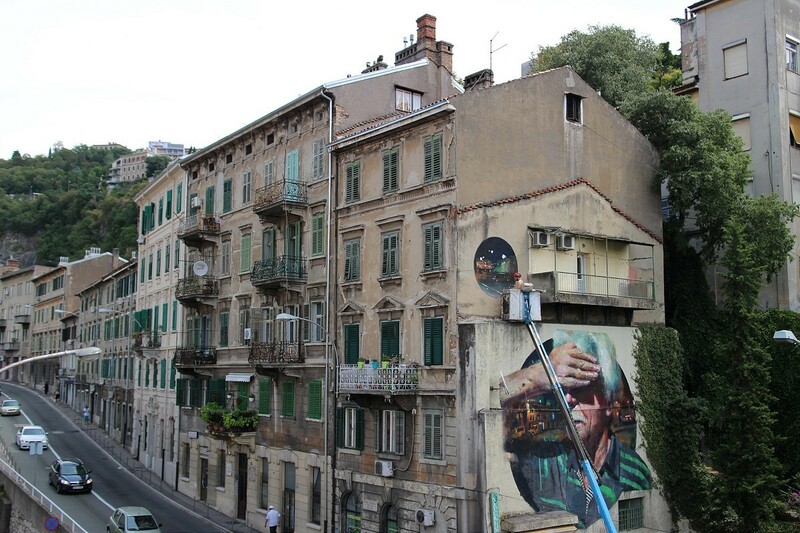 After Ukraine and Italy, Sebas Velasco recently stopped in Rijeka, Croatia, where he painted another signature mural mixing portraiture and night time cityscape. 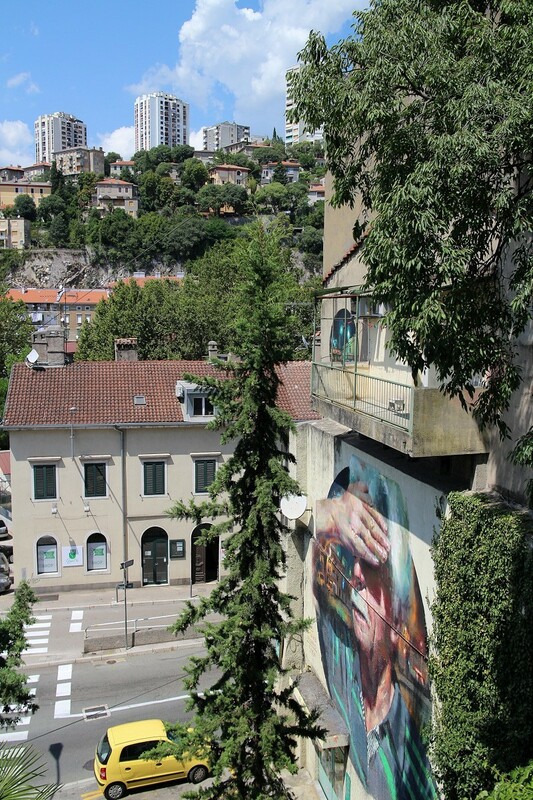 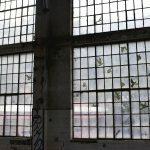 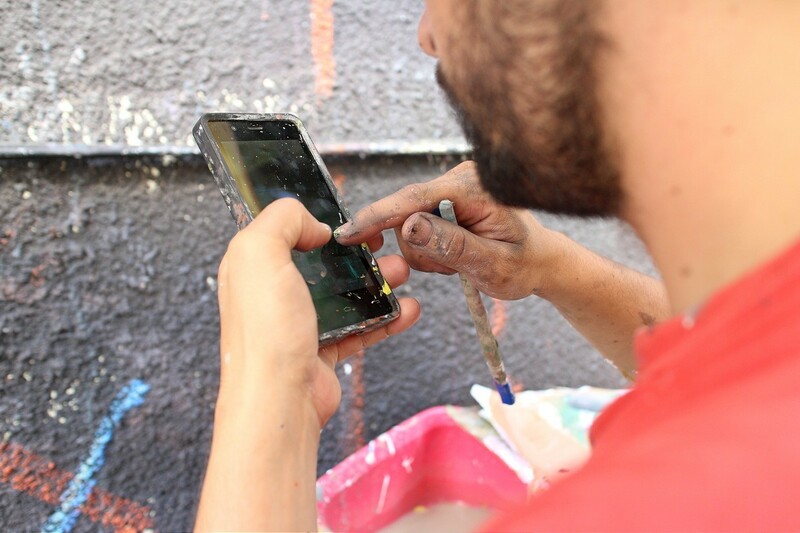 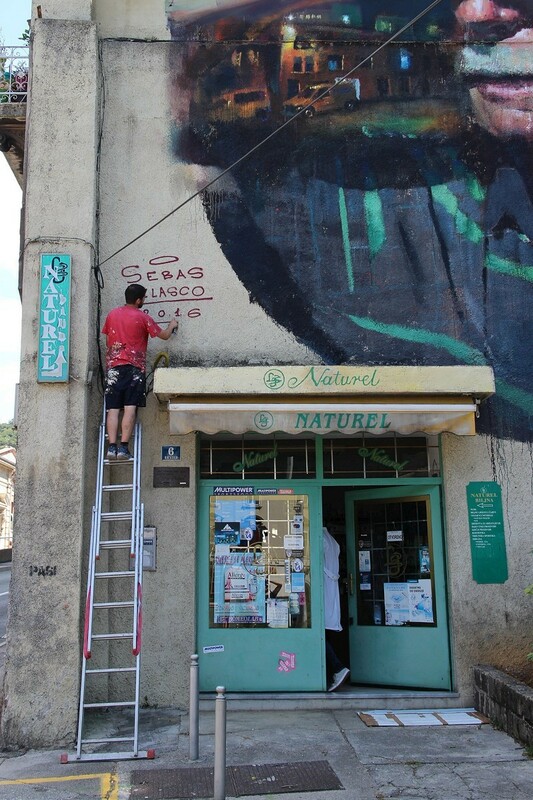 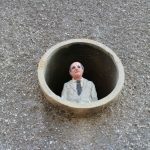 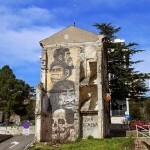 Invited by the local Museum of Modern and Contemporary Art, Rijeka, Spanish artist made his contribution to their ongoing program focused on revitalizing former industrial hot spots of the city through public art. 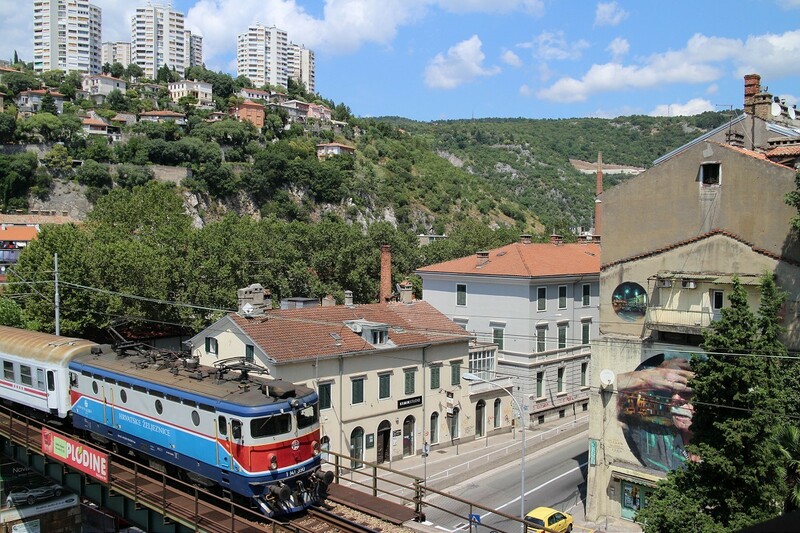 A busy harbor, birth place of torpedoes, paper factory, shipyard and an old railway intersection, Rijeka is proudly turning it’s industrial heritage into new hubs for creatives alike as European Capital of Culture 2020. 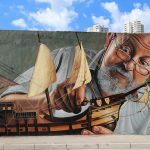 With this in mind Velasco painted a local worker as a symbol of the strong working class that built and created city’s identity over decades or centuries. 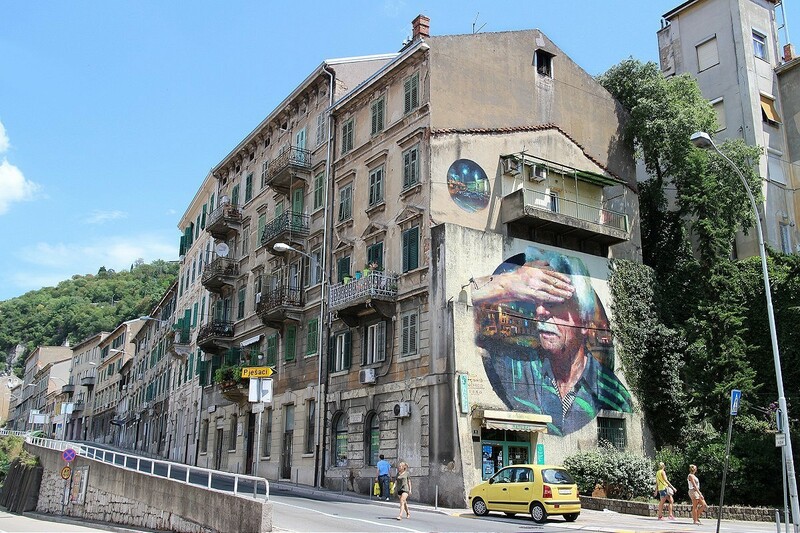 Adding parts of it’s industrial architecture, such as warehouses of the nearby paper factory or shipyard, the artist could relate these elements to his hometown of Bilbao. 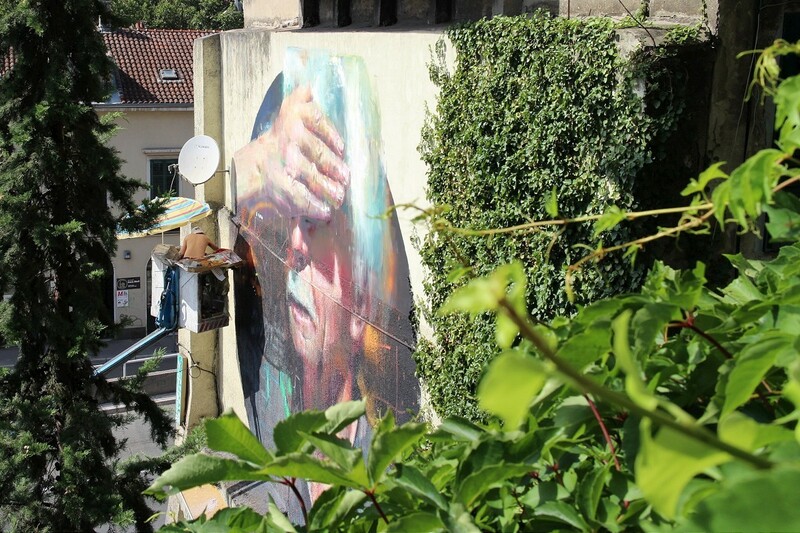 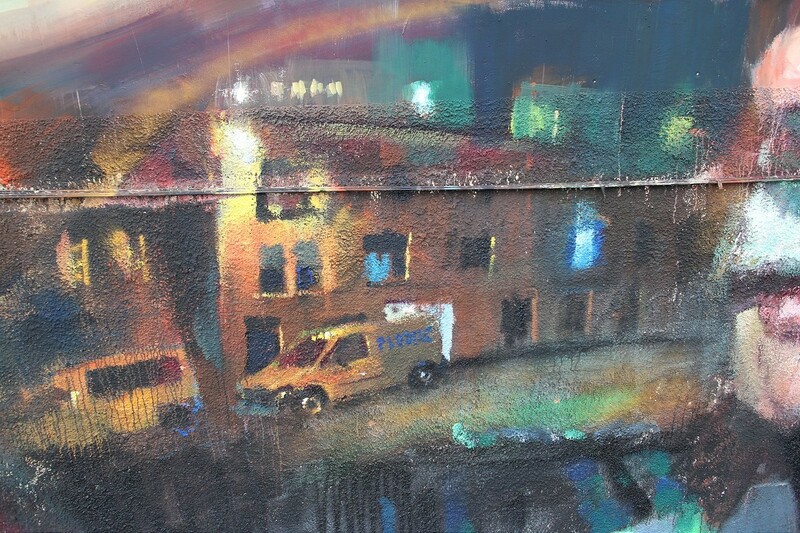 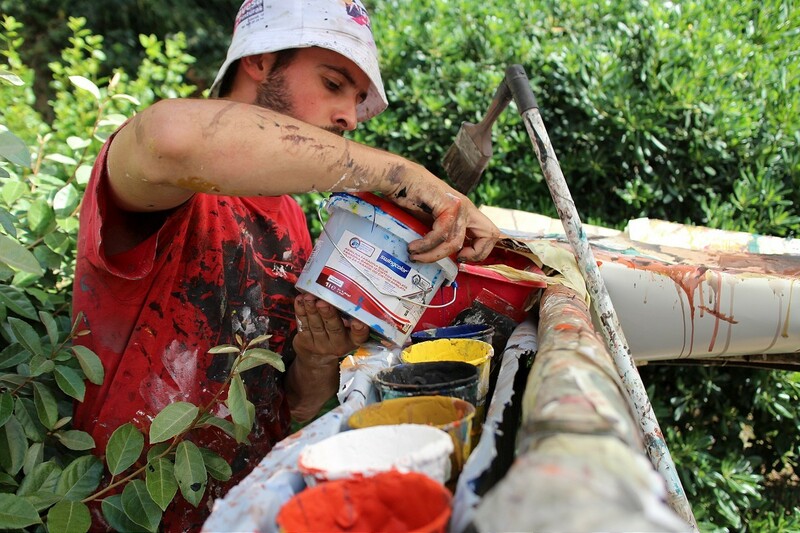 Using the rough facade as primed canvas, the result is a striking piece that accents his painting skills and talent, showing expressive brush strokes, great eye for light or shadow and clever play with colors. 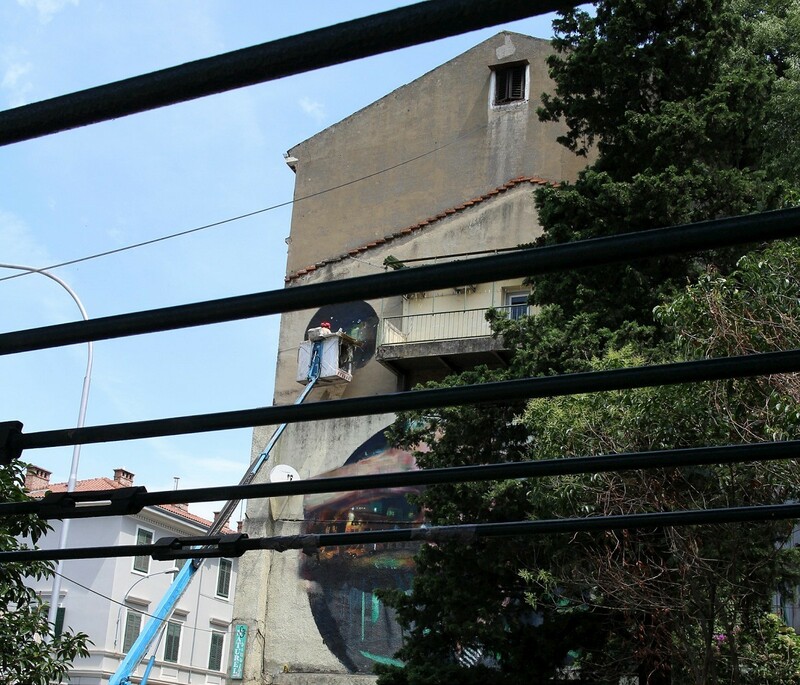 Check out more detail and progress images after the jump and let us know what you think about this piece in our comment section.